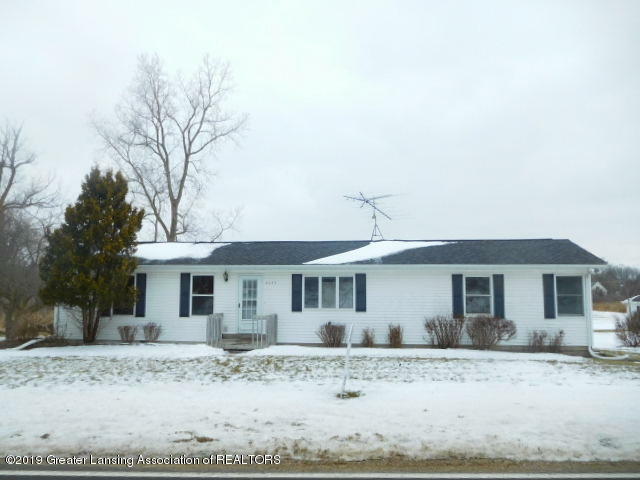 Looking for a home on 9 acres with a garage and pole barn and less than a mile from town? This tremendous ranch home could be the one for you! What a tremendous opportunity to live in the country and still be super close to town. This sprawling ranch home features a master bedroom with private master bath; open kitchen concept with plenty of cabinet and counter space and first floor laundry room; the covered patio offers a view of the small pond and lush greenery in the spring and summer months; the two car detached garage has an attached workshop in the back; the pole barn offers tons of possibilities for all of you gearheads or woodworkers to set up shop, tinker and create! Properties like this don't become available very often; call to schedule your private showing today!